Samsung is said to be working on a standalone VR headset harbouring an industry-leading OLED display and pixel density. 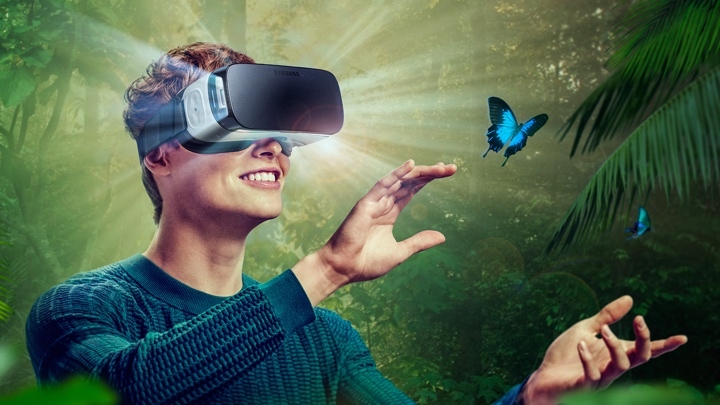 That's according to industry insiders, who indicate an upcoming Gear VR headset could offer a density of 2,000 pixels per inch (PPI), blowing the likes of the Oculus Rift and HTC Vive — which both offer users around 460ppi — out of the virtual water. The whisper comes after the Korean giant showed off a new panel at Display Week earlier this month that offers a 858 pixel density, while it was also rumoured to show off VR headsets with 1,200 ppi in a private meeting at MWC back in February. Of course, while playing the number game with pixels is an eternal activity for companies, it's important to actually understand what this kind of density entails. Increased resolution and immersion, some believe, brings with it the potential to cause more cases of sickness. However, this is something that Samsung isn't believed to be concerned about, and, in fact, hopes will actually nullify cases of VR dizziness. "When using a VR device, the number of ppi should be much larger than it is now to feel natural without feeling dizzy," said an industry official. "The higher the resolution, the better the nausea symptoms will be." As you may have already gathered, none of this is official just yet, although the rumours are starting to pile up regarding Samsung and its next Gear VR splash. With the Samsung Gear VR 2017 only just releasing, though, we suspect any new headset will debut alongside the Galaxy S9 and Galaxy S9 Plus next year. If we're lucky, it may even be ready for our eyes by August, when the Galaxy Note 8 — the sequel to that exploding fiasco — is expected to drop, or receive a dedicated launch of its own.